We find our five team members at the grave of Professor X, still mourning his passing. They are absolutely devastated at their loss. You can also tell how rich the Professor was, because he was able to afford a nice onyx obelisk tombstone. Fancy. They are soon greeted by Amos Duncan of the FBI. We met him during Scott’s origin story in issue 39, and we know that he is an ally. 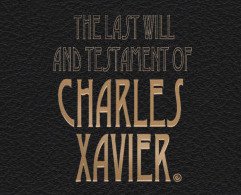 He tells them that he has some uncomfortable but necessary information to share with them, the last will and testament of Charles Xavier. 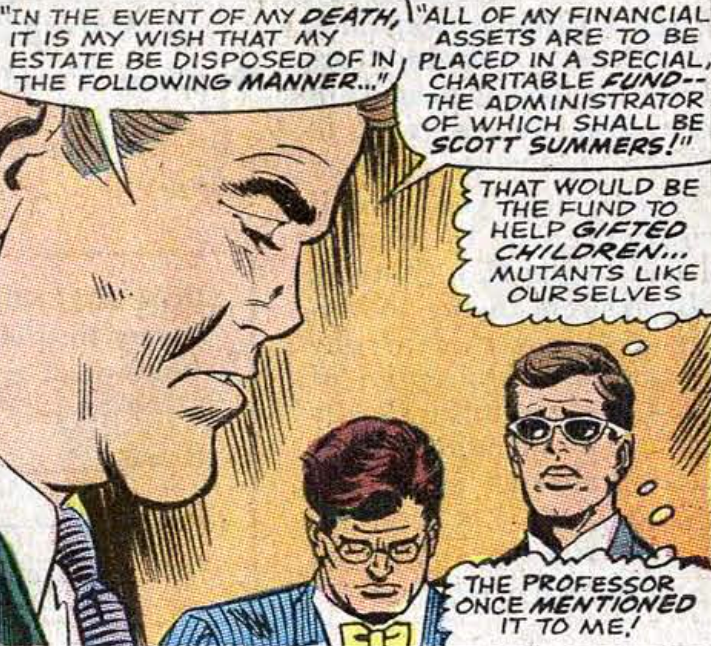 He is leaving all of his belongings and real estate to his students, with Scott Summers as the trustee. Hmm. Now why does this sound familiar? Oh yeah, because it’s happening in the pages of X-Men comics that are on newsstands right now. The Last Will and Testament of Charles Xavier is something that just happened in Uncanny X-Men #23, and is playing out in subsequent issues. And just like we saw here, the mansion was (presumably) left to Scott Summers. Currently the will is being presented by She-Hulk, who is way cooler than Amos Duncan. Meanwhile, the Juggernaut is still wandering aimlessly in whatever sort of mystery zone he was transported to after their last encounter. He’s pretty pissed off about it. Then somehow he is inexplicably transported back to the mansion, where he starts – you guessed it – a fight! Cain Marko goes on a rampage, determined to kill the X-Men before finishing off his step-brother once and for all. 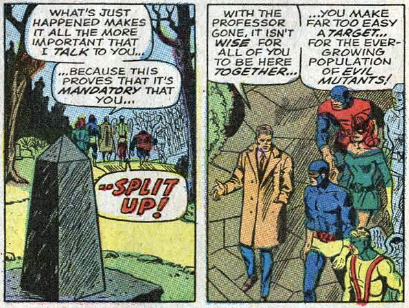 The X-Men try to explain to him that Charles is dead, but Cain won’t listen. He is sure that the X-Men are tricking him. That is until he finds the grave, which is definite proof since a grave could never possibly be faked. After a pretty decent brawl, the Juggernaut is sent back to his mystery zone as suddenly as he appeared. I have no idea why. I always enjoy seeing the Juggernaut, but this encounter was the most useless and unexplained. He was zapped back and then he was zapped out again. He was there just long enough to trash their place. The better part of this issue is at the end, where the group splits up. It is suggested by Amos that they go their separate ways, for both safety and effectiveness. Cyclops agrees and it is decided that they will leave the mansion, walking away from their dream and all their hard work. It’s all very sad, as they pack up, tear up, and head out of town. Hank and Bobby decide to stay on the east coast, so they can continue frequenting their groovy hangouts with Vera & Zelda. 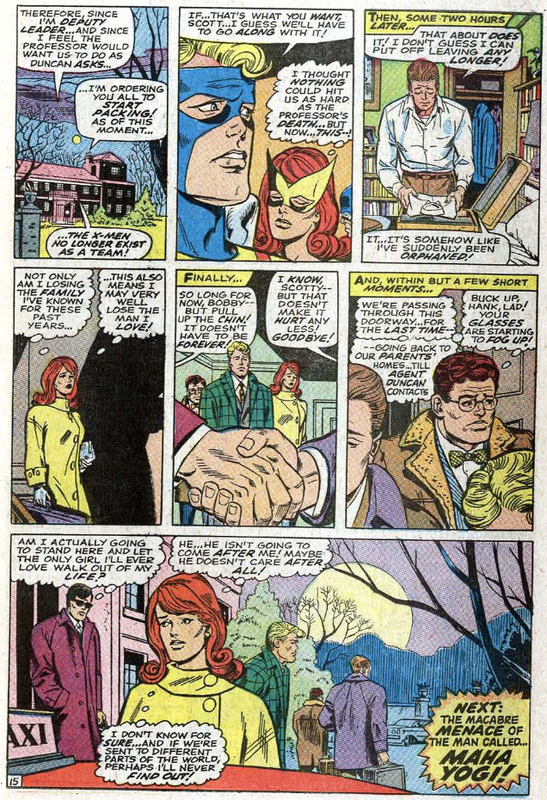 Scott and Jean head out for the west coast because Jean’s a girl who loves sunshine and Scott’s a boy who loves girls. That leaves Warren to keep an eye on the area in between, which is somehow capable by just one person because you know… he’s a bird. This issue had a lot of interesting moments where the team mourns Charles and goes their separate ways. 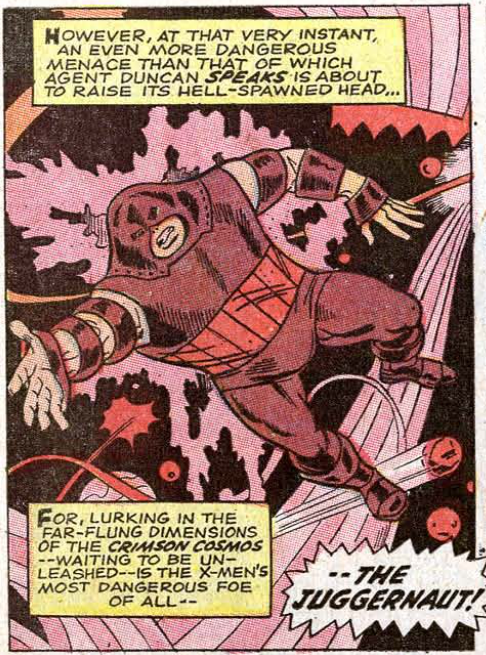 However, the Juggernaut interruption was some of the most pointless nonsense we’ve seen yet in these comics. 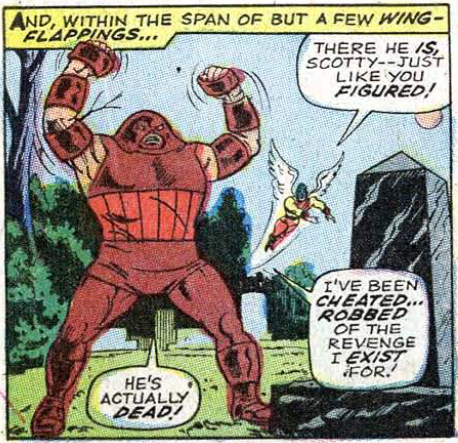 A villain as awesome as the Juggernaut really deserves better than that. Lets hope the next time we see him he has more to do, and more reason to be there. Posted on August 25, 2014, in Ed Posts, Juggernaut, Professor Xavier and tagged Angel, Beast, comic books, comics, Cyclops, Iceman, Jean Grey, marvel, Marvel Girl, mutant, x-men. Bookmark the permalink. Leave a comment.